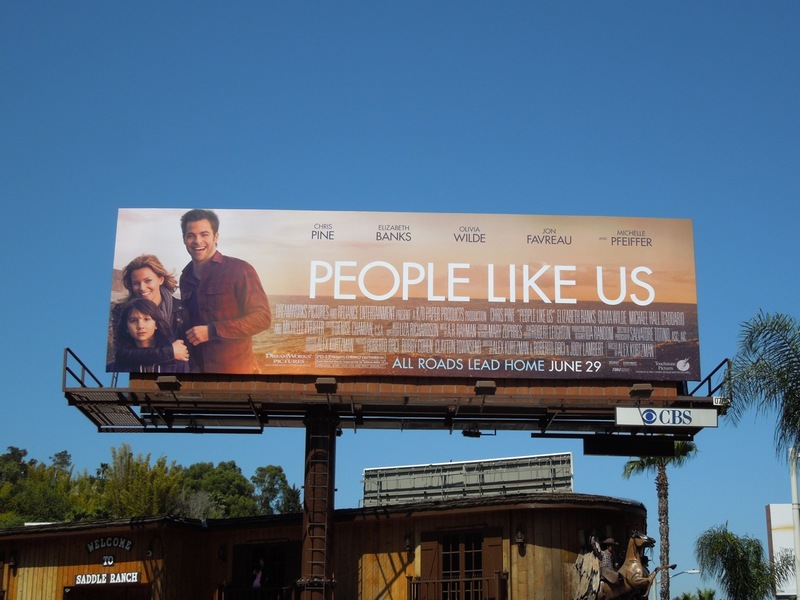 In a Summer filled with the usual bombastic big budget blockbusters, it's nice to know that a 'quiet' film like People Like Us exists. 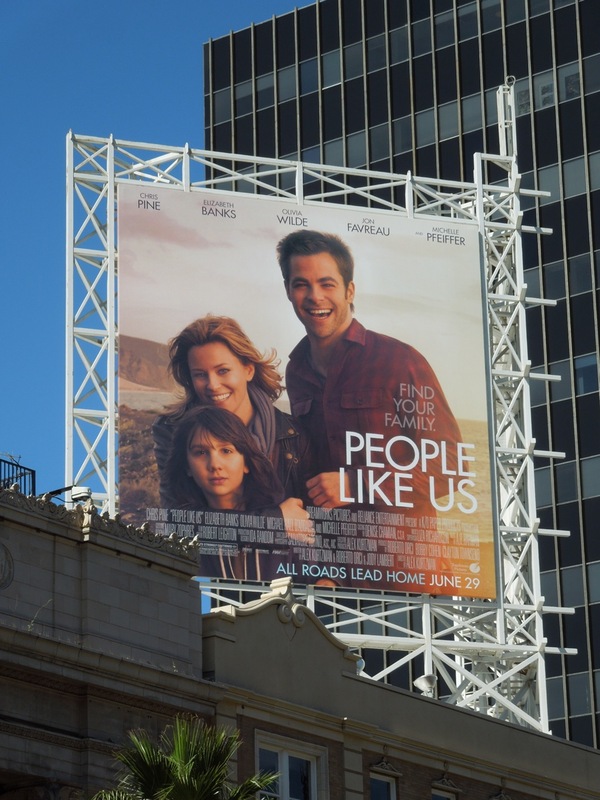 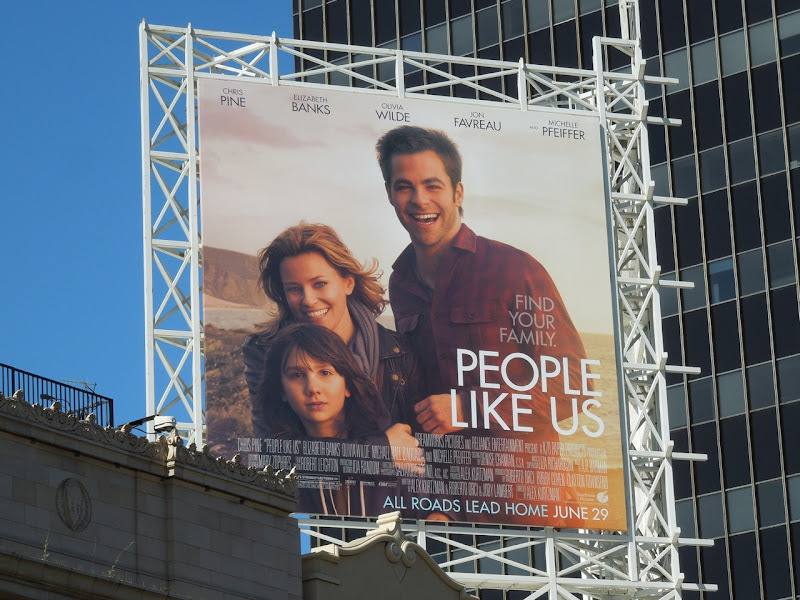 After the death of his father, a struggling Chris Pine discovers that he has a 30 year old alcoholic sister (Elizabeth Banks), with her own troubled 12 year old son. 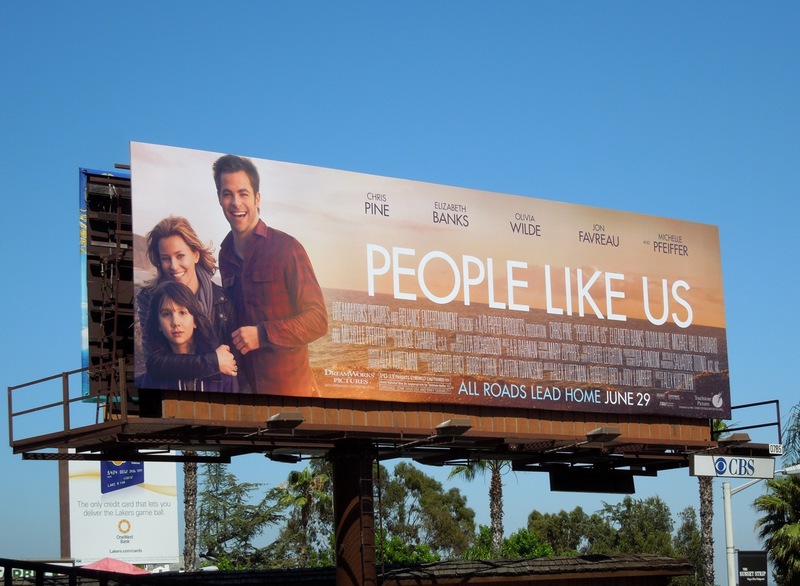 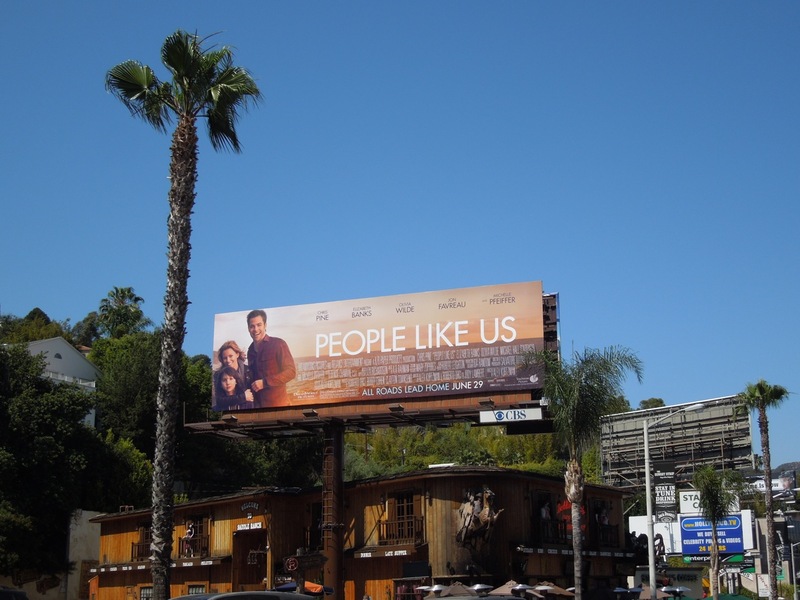 This landscape billboard, for what sounds like a sweet family drama, was snapped above the Saddle Ranch Chop House along Sunset Boulevard on May 29, whilst the squarer version high above the El Capitan Theatre along Hollywood Boulevard was captured on June 24, 2012. If you're a Chris Pine fan, be sure to also check out his This Means War movie billboard from earlier this year.